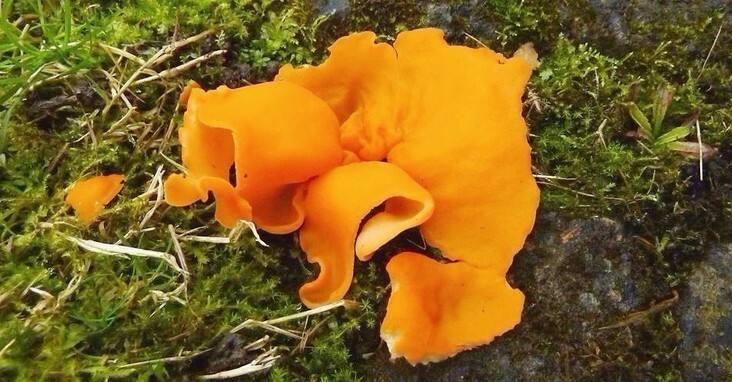 The orange peel fungus is a widespread ascomycete fungus in the order Pezizales. Thanks to Sheila Moth for this sample taken in her garden. 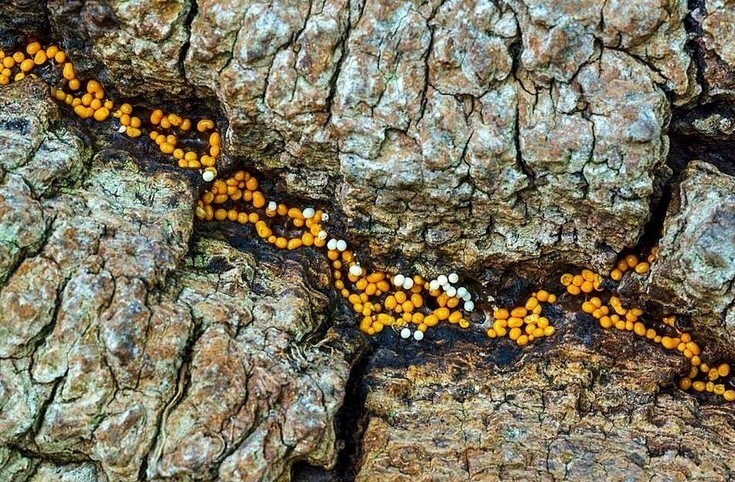 Bisporella citrina, commonly known as yellow fairy cups or lemon discos, is a species of fungus in the family Helotiaceae. Thanks to Billy Reid for the photo. 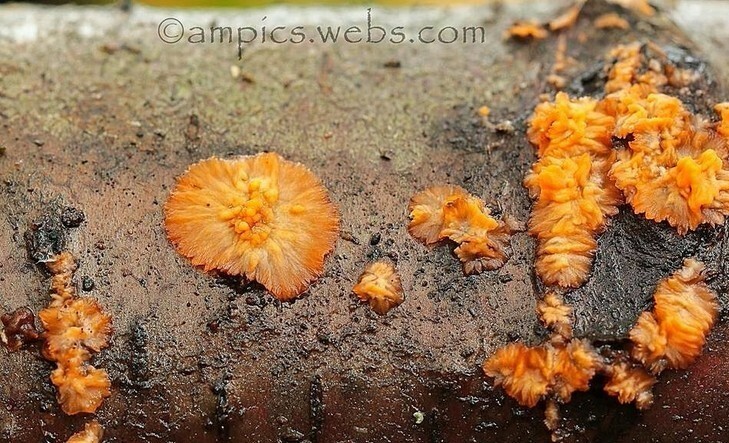 Pholiota aurivella is a species of fungus in the family Strophariaceae. Thanks to Billy Reid at Chadkirk. 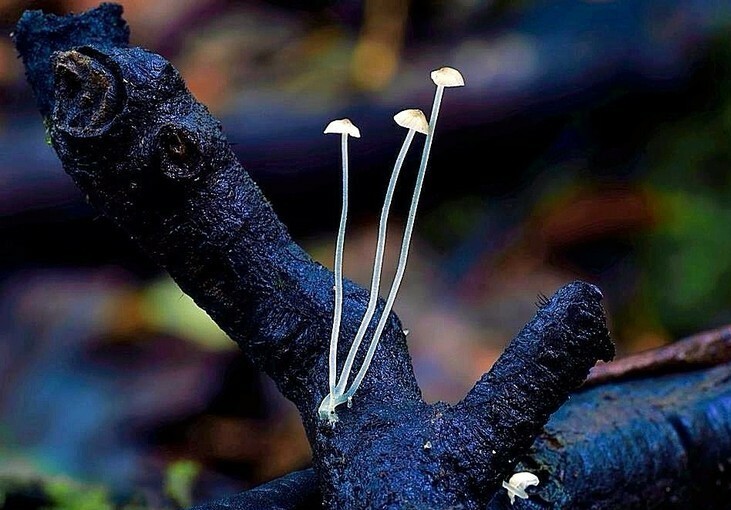 Mycena albidocapillaris is a species of mushroom in the family Mycenaceae. Thanks to Billy Reid for this photo taken at Abney Hall. 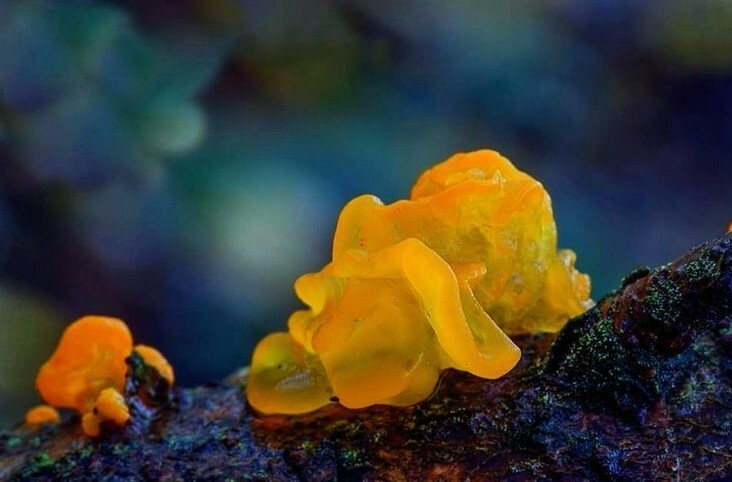 Tremella mesenterica common names include, yellow brain, golden jelly fungus, yellow trembler, and witches' butter is a common jelly fungus in the Tremellaceae family of the Agaricomycotina. Thanks again to Billy Reid for this Abney sample. 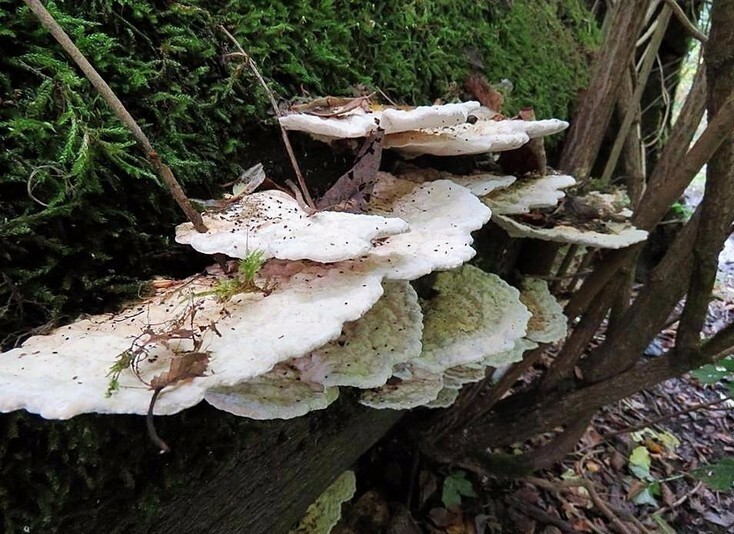 Tyromyces chioneus, commonly known as the white cheese polypore, is a species of polypore fungus. Thanks to James Dempsey Riley for the photo. 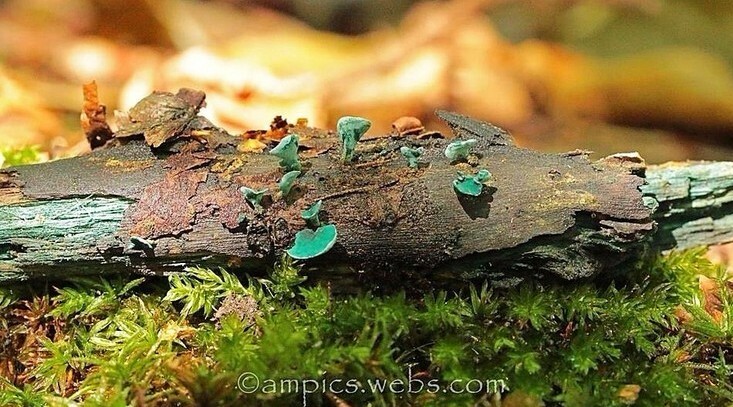 Chlorociboria aeruginascens is a saprobic species of mushroom, commonly known as the green elfcup or the green wood cup. Ant Marriott is once again to thank for this fine specimen. 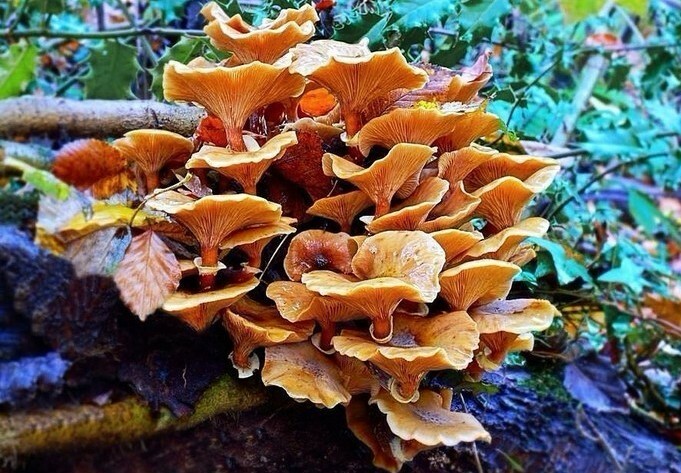 Armillaria mellea, commonly known as honey fungus, is a basidiomycete fungus in the genus Armillaria. Thanks to Billy Reid for this sample from Abney Hall. 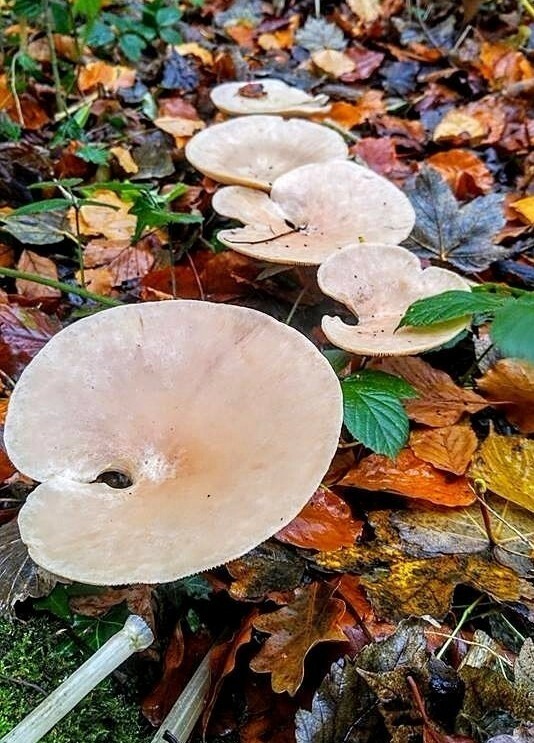 Infundibulicybe geotropa, also known as the trooping funnel or monk's head, is a funnel shaped toadstool widely found in Europe. Thanks to John Anthony Mulvey for this sample taken at Woodbank Park. 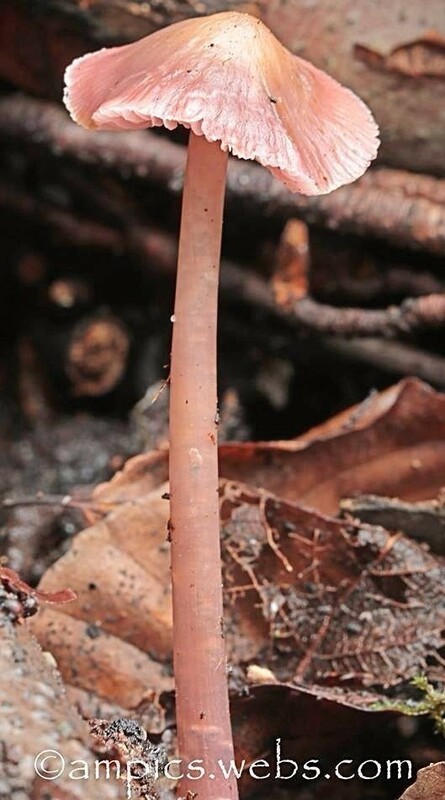 Baeospora myosura is a species of fungus that produces mushrooms with long, coarse hairs. 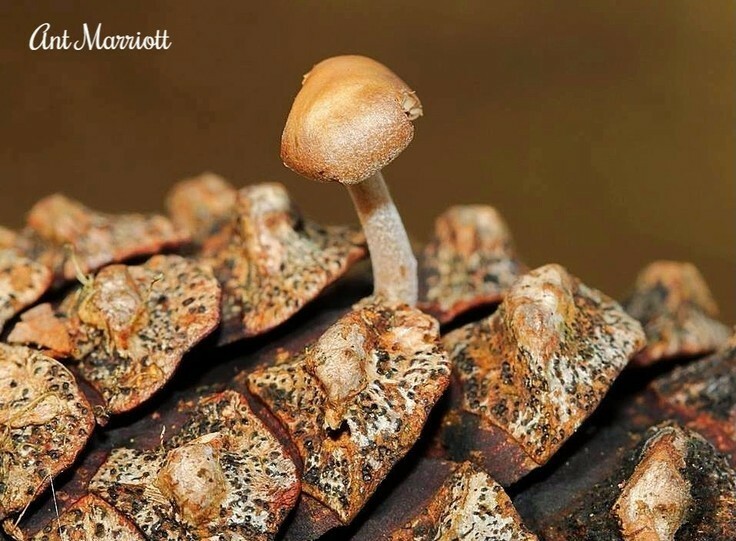 It grows on plant material and manure. Thanks to Ant Marriott for this specimen. 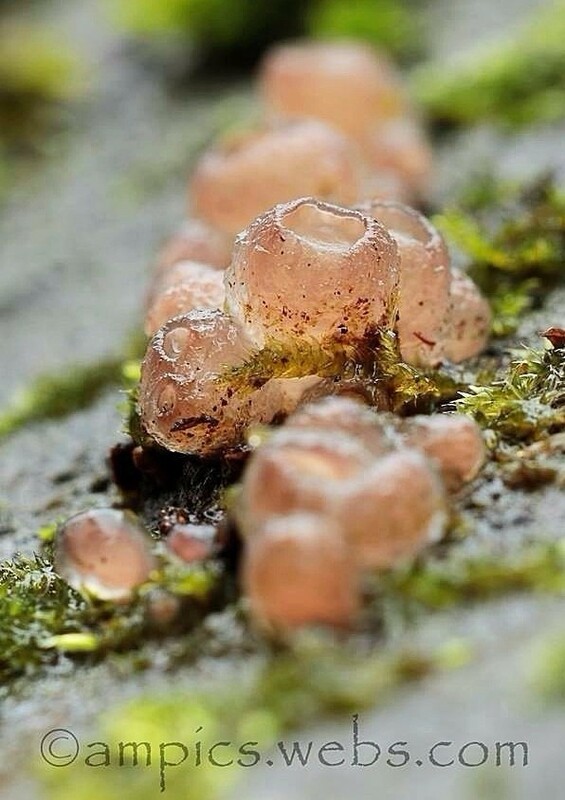 Peziza phyllogena, commonly known as the common brown cup or the pig-ear cup, is a species of fungus in the family Pezizaceae. Another Chadkirk beauty by Ant Marriott. 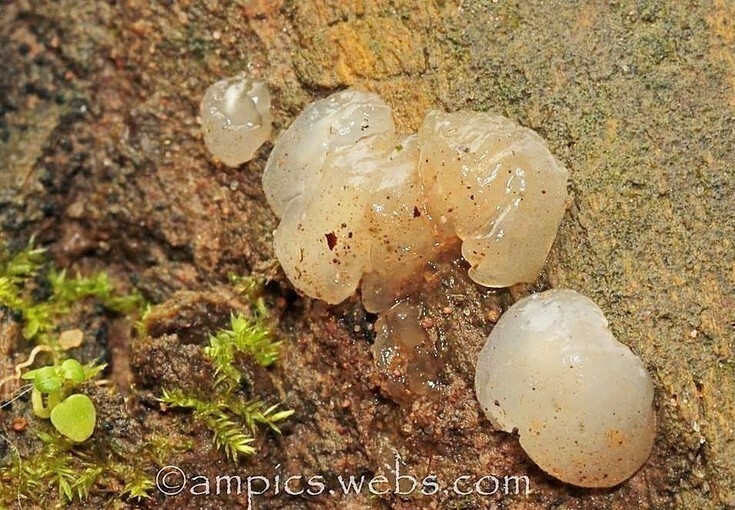 Myxarium nucleatum, crystal brain or granular jelly roll, is a jelly fungus in the family Hyaloriaceae. Thanks again to Chadkirk and Ant Marriott. 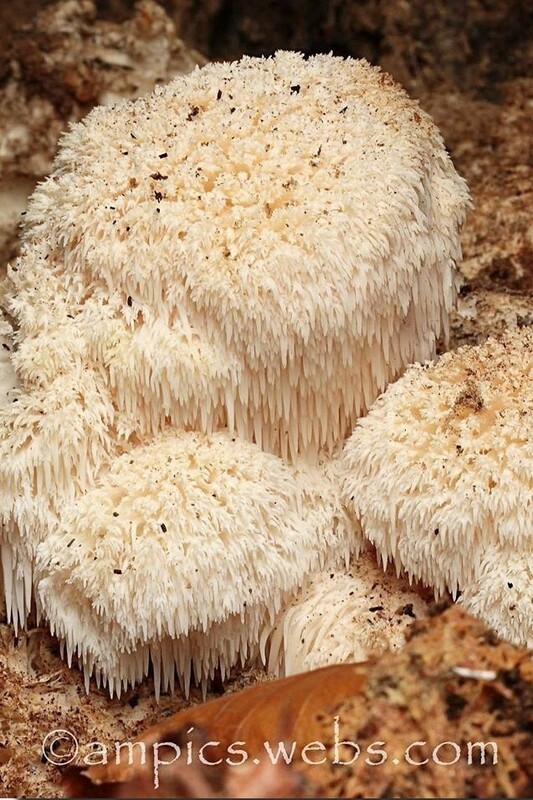 Hericium is a genus of fungi in the Hericiaceae family. Another Ant Marriott classic from Chadkirk. 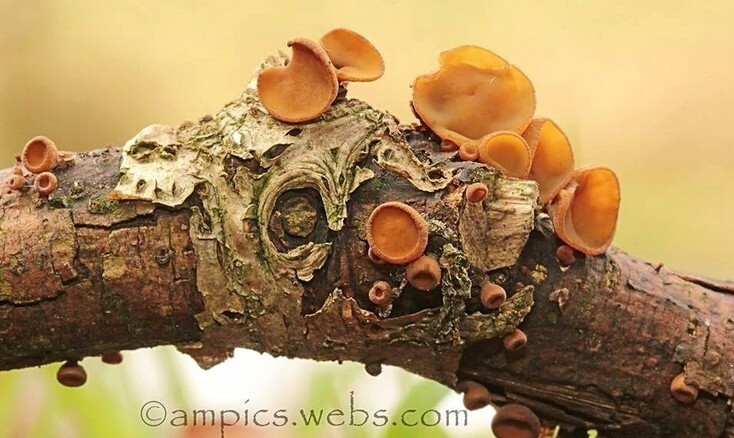 Phlebia radiata, commonly known as the wrinkled crust, is a common species of crust fungus in the family Meripilaceae. Thanks once again to Chadkirk Country Estate and Ant Marriott. 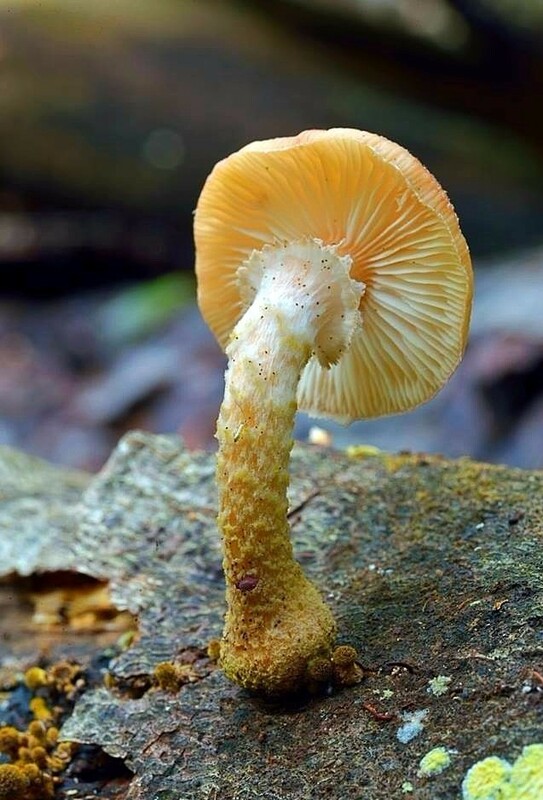 Neobulgaria is a genus of fungi within the family Leotiaceae, and a wonderful Chadkirk specimen from Ant Marriott. Mycena pura, commonly known as the lilac bonnet, is a species of mushroom in the family Mycenaceae. Ant Marriott is credited for this sample.